FACT CHECK: Does Chuck Schumer Have an Unrestricted Concealed Carry Permit? The claim that the Senate Minority Leader has a concealed weapons permit is based on one single unsourced article. 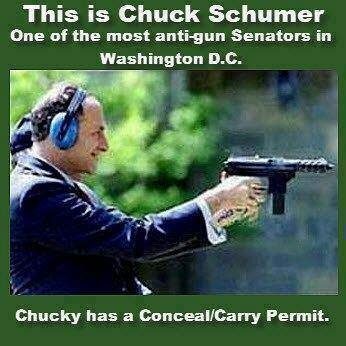 Senator Chuck Schumer has a concealed weapons permit. Politicians don’t feel obliged to smoke crack on camera to demonstrate the dangers of drug abuse or get behind the wheel of a car after several drinks to inveigh against drunk driving. But Treasury Secretary Lloyd Bentsen and House Judiciary Committee Chairman Charles Schumer (D-N.Y.) somehow couldn’t find a way to rouse public concern about “assault weapons” without firing off a few rounds at a Washington police target range. I imagine the effect was not what they had intended. A lot of Americans who saw Bentsen with his AR-15 rifle and Schumer with his Tec-9 pistol probably exclaimed, “Say, that looks like fun!” Others may have concluded that the demonstration simply dramatized the folly of allowing dangerous weapons in the hands of anyone connected to the federal government. The claim that Schumer was or is licensed to carry a concealed weapon has appeared online for several years. 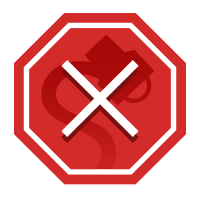 We have seen this claim posted on numerous web sites, blogs, internet forums, and social media sites, but we have yet to encounter any evidence to back it up. It seems to have originated in a September 2005 article published on a blog called RenewAmerica.com. The author, Jim Kouri, is a conservative media personality who claims to be a former chief of police on his MuckRack profile. However — as far as we can tell — Kouri never worked as a police chief, but rather as a director of public safety and police services for the New York State Division of Housing and Community Renewal. At the same time, there are outspoken opponents of gun ownership, such as Senators Chuck Schumer (D-NY) and Diane Feinstein (D-CA), who are carrying concealed weapons, according to WABC Radio’s Mark Levin. Levin, a recognized constitutional expert, heads the Landmark Legal Foundation. The LLF’s goal is to protect American’s from unreasonable and illegal government intrusions and violations of the US Constitution, including the Second Amendment. If Levin did truly make such a statement (he did chastise Sen. Diane Feinstein in 2005 for having a concealed carry permit, something she did have, but got rid of in 2012), it is not a claim that he has often repeated. We found no record of Levin accusing Schumer of having a concealed carry permit prior to the publication of Kouri’s article, nor at any other time since. Kouri, on the other hand, has repeated this claim in at least two subsequent articles: One published in 2012 and another in 2016. Interestingly, the 2016 piece parroted a list of more than two dozen Democrats who owned guns from short-lived right-leaning news site HeatStreet.com, which was based on data from USA Today and did not include Schumer’s name. “I am also curious about one thing: I did read and I am understanding, for the record, that Senator Schumer is licensed to carry a concealed hand gun,” Townsend said. There was a momentary pause, broken by NY1’s Bobby Cuza, one of the debate panelists. “….you’re not carrying a gun,” he asked Schumer, to laughs. “Nor am I licensed!” The senator re-iterated. Townsend directed the media to an article published on American Daily in 2005 to support his claim that Schumer was licensed. That American Daily article, however, was just a reprint of Kouri’s original opinion piece which offered no evidence to support its claim. 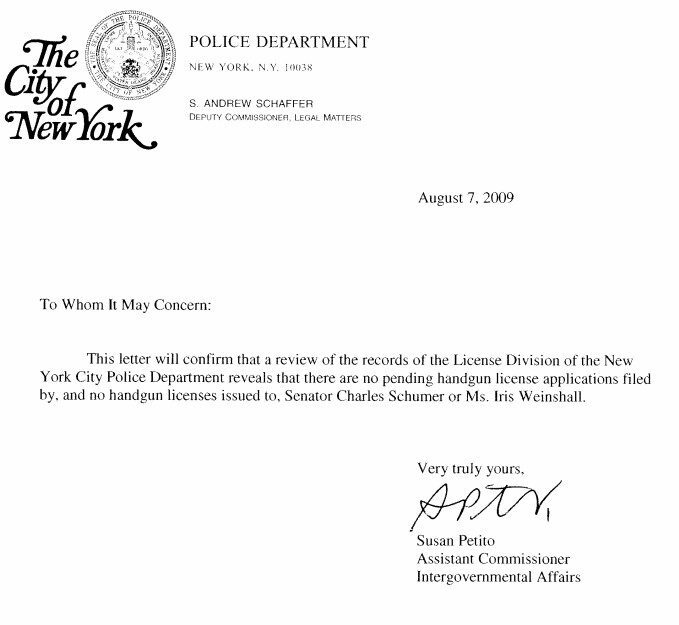 A spokesperson told us that Schumer has not applied for or received a gun license since this letter was sent in 2009. We reached out to the NYPD to confirm this information, but did not hear back by press time. The Hill. 20 December 12. USA Today. 5 February 2013. Chicago Tribune. 5 May 1994. New York Times. 8 May 1994. Times Union. 25 October 2010.